Although fixed-wing aircraft receive all the attention by most historians, helicopter flight was the first flight envisioned by man. 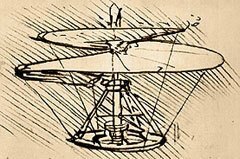 In fact, the ancient Chinese were playing with a hand-spun toy that rose upward when revolved rapidly and as early as the mid 1500’s, the great Italian Leonardo Da Vinci had used his fertile mind to make drawings of a machine that we now know as the helicopter. His design, like many others to follow, would work theoretically but would have been impractical in full-sized form. The great breakthrough came at the end of the nineteenth century. The internal combustion engine made it possible for the pioneers to develop full-sized models with an adequate power source. It was then they found the first of many great problems: torque, the effect produced by the rotor to force the fuselage to rotate in the opposite direction as the engine. The beginning of the 20th century saw the pioneers experimenting and resolving many of the problems that appeared with each advancement. The old saying, “One step forward and two steps back,” was the order of the day for the early pioneers. Dissymmetry of lift, the action that tended to cause the early helicopters to flip over, confounded the early pioneers until the invention of the swashplate. 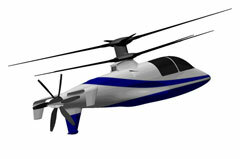 The swashplate, with cyclic pitch control allowed the rotor blade angles to be altered so that lift would be equal on each side of the central shaft. After that, several models were produced by many designs but there were no more great advances until another French pioneer, Etienne Oehmichen, became the first to fly a helicopter a kilometer in a closed circuit in 1924. It was a historic flight taking 7 minutes and 40 seconds. Advances began to come fast and furious. One of the more important advances in the development of vertical flight was made by the Spaniard Juan de la Cierva. His design, called the autogyro, was not a true helicopter but his contribution was very important. By 1936, many of the problems had solutions and with the introduction of the German Focke-Wulf Fw 61, the first practical helicopter was a reality. 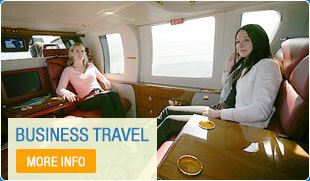 Vertical flight was not a dream anymore. 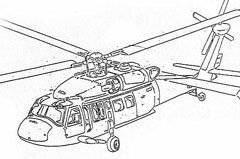 This historical evolution of rotary wing aircraft is dedicated to all those that were involved in the development of the most versatile vehicle known by man and exists due the enormous help of so many people from all around the world. Thanks to all! Without these individuals, Atlas Helicopters would not exist as it is today!